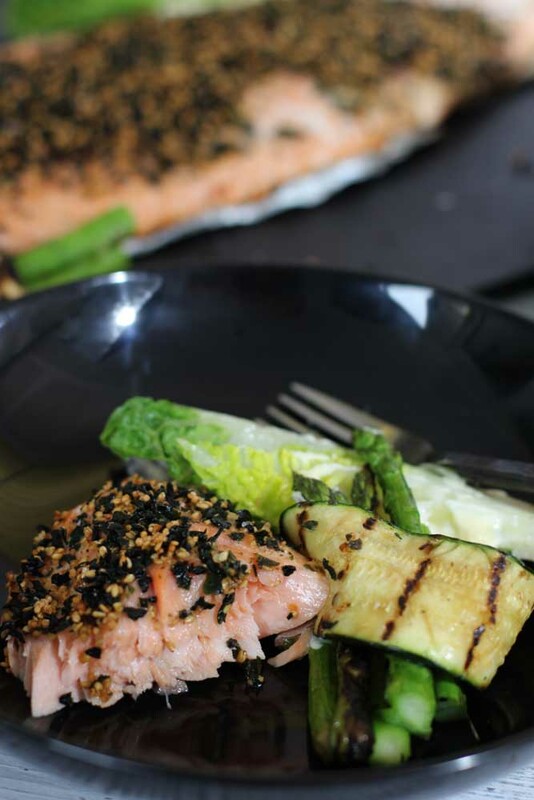 How to BBQ Salmon with Pickled Ginger and Sesame. It is easy. Believe me. It’s barbecue time again. I love barbecue time. Taking as much of the cooking outside is not only sensible in our heat, it’s great fun too. I took the cooking outside quite literally this week when I took the cooking over to my friends place. She has one of those “ ziggy” barbecues on the balcony of her small apartment. I thought I might give a big side of Salmon a test run for Christmas. Salmon is by far the easiest fish to cook for most people. A whole side will feed between 6 and 12 people depending on the size. The one I bought was from a whale sized Salmon I think and weighed in at 1.6 kg (3.5 lb can feed 12-14 people) and that was just the one side . 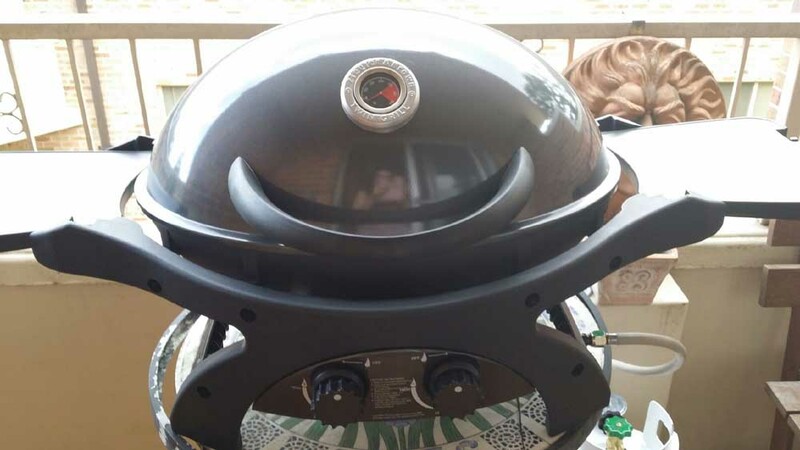 It couldn’t be easier, and you can do it on your barbecue as long as you have one that has a lid. Of course the Ziggy does a brilliant job and will brown up your vegies and crisp your Salmon skin to perfection. This is as simple as it gets. The Japanese flavours taste great but require very little work. There are no carbs attached to this menu but you can add some rice or even potato if you like. The two. 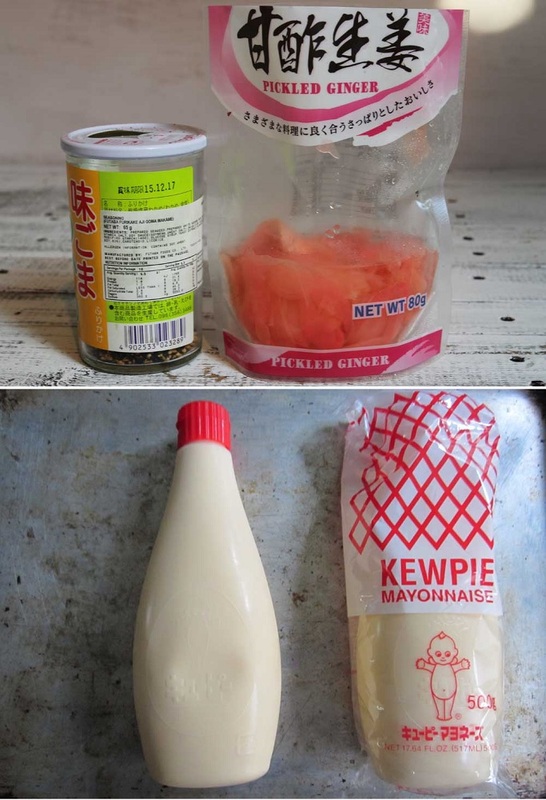 No three, most important ingredients for this BBQ Salmon are: Sesame and Wakame seasoning (Japanese), Pickled Ginger and Sesame oil along with Kewpie mayonnaise so that’s four, woops. I served it with barbecued Zucchini and Asparagus and quartered baby cos ( Romaine) lettuce smothered with Kewpie mayonnaise. This means a serious bit of easy cooking . Oh barbecue how I love you. 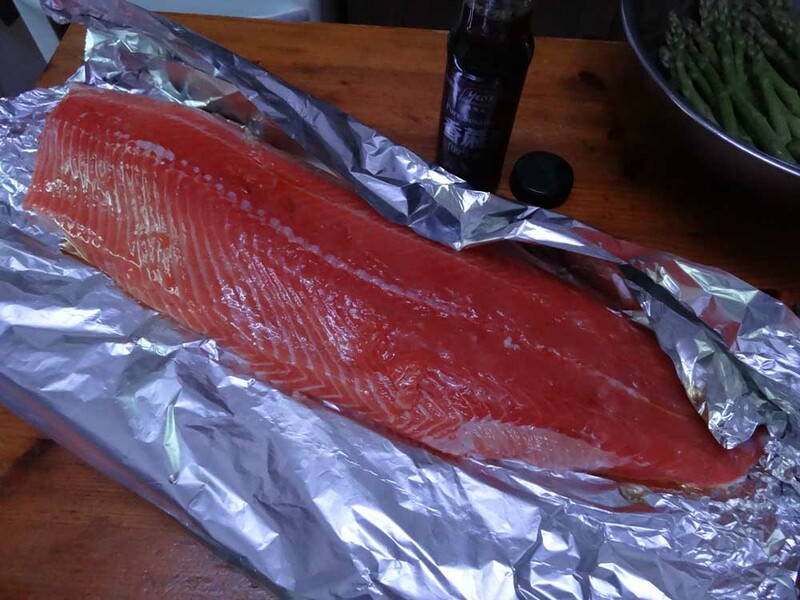 This Salmon will take about 20 minutes to cook. If you want to cook this for Christmas you just need to have all the sides ready to go before putting the fish on. This whole side of Salmon cooks in a very short time. It's ideal for the BBQ. Cook the vegetables at the same to make the most of your Barbeque. it is served with an Asparagus and zucchini salad. Clean and quarter 4 baby cos ( Romaine) lettuce. 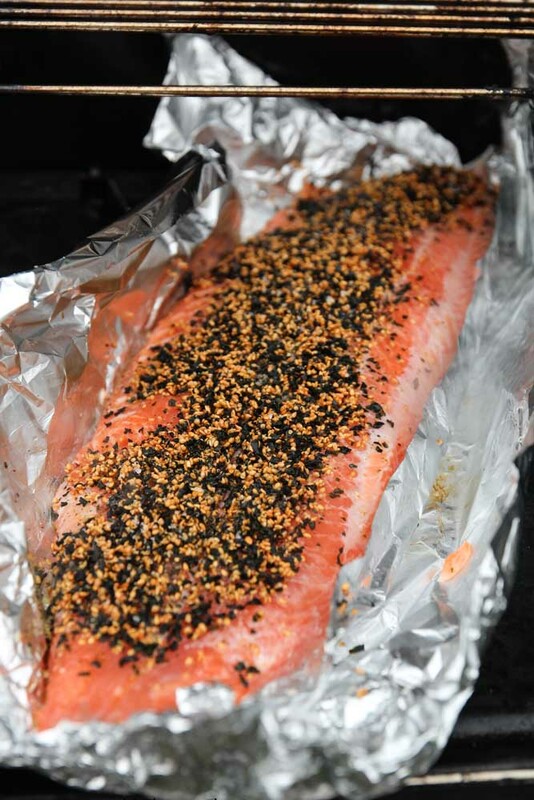 Heat the barbeque by turning it on and putting down the lid, while you prepare the salmon. 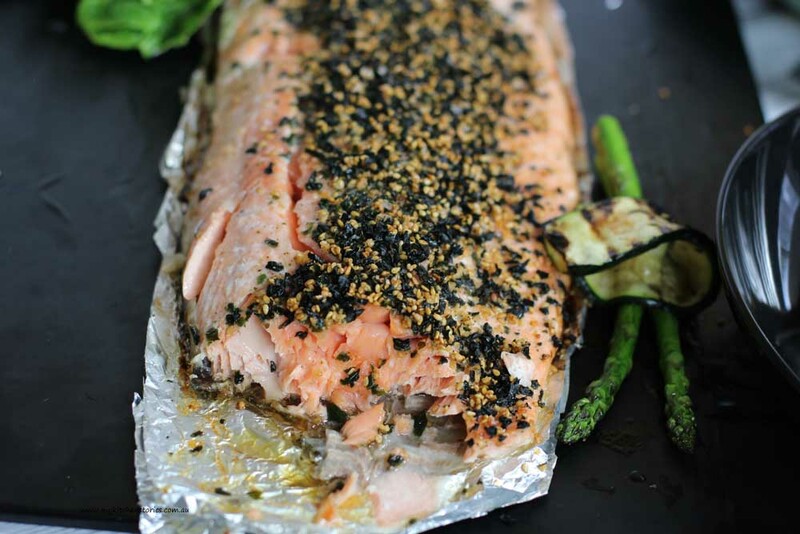 Place the salmon onto a double thick piece of foil. 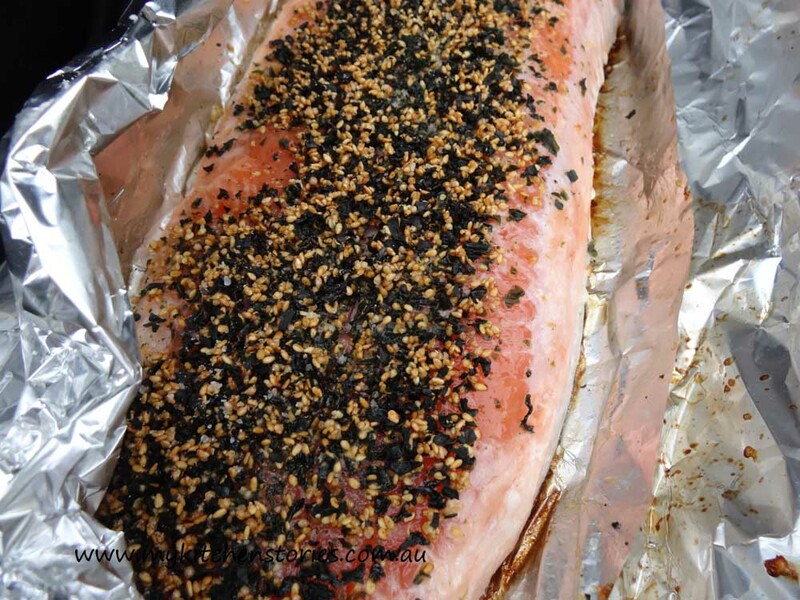 Mix the remaining sesame oil and the pickling liquid together and paint generously all over the side of Salmon. Sprinkle with the furikake seasoning . Cook the Asparagus and Zucchini first (or at the same time if you have a big Barbecue.) Put in a single layer onto the BBQ and turn as they start to soften and colour. Put back into the bowl and dress with the ginger sesame dressing. 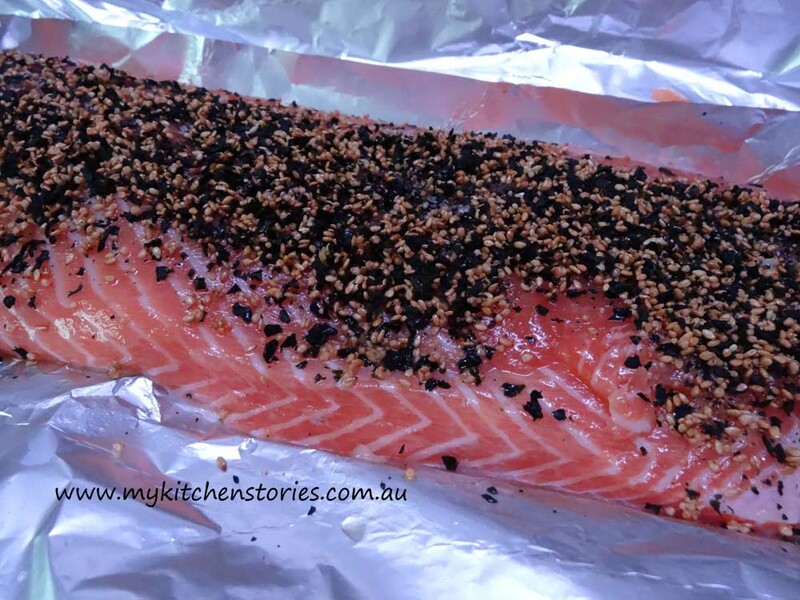 Put the salmon onto the barbeque in it's open foil packet . Leave it until the liquid on the surface of the foil starts to simmer and the base of the fish is starting to look opaque. This should take about 10 minutes. Put the lid down and leave for at least 5 minutes before checking again. Mine took exactly 10 minutes once the lid was put down ( 20 minutes total) till cooked, with just a nice amount of pink inside. Serve the Salmon with the lettuce and vegetables. Make extra dressing so it can be drizzled onto the fish. The ginger pickling water really adds an amazing flavour to the dressing. If you don't have enough of the ginger water make some by adding 1 tablespoon fresh grated ginger to a 1/2 cup of water. Add a squeeze of lemon and a 1/2 teaspoon water and stir well. After such a great BBQ what about dessert? With just a little planning ahead but you could have dessert ready in minutes and use the Barbecue again to make it too! Come back tomorrow for dessert. This post was proudly supported by Barbeques Galore the home of Ziegler and Brown. You want one too don’t you? mmmm…salmon..my FAVOURITE!! Though not a fan of bbq, but I would make an exception just for the salmon. LOoks so GOOD! Sounds wonderful, Tania. WIth my barbecue located right outside my kitchen door, I light it up all year long, regardless of the weather. Just grilled a steak for dinner this evening, in fact. This means I’ll be trying this salmon long before our summer starts. Thanks for the recipe. I literally just drooled like a puppy does when you tempt it with dinner. This looks so nice and is easy to-boot. Thanks, think that’s definitely on the Christmas menu! Merry Christmas, thanks for all the things you’ve shared this year. Cheers, Maree. We keep saying that we should get a Ziggy but I don’t know how much of a work out it will get. But maybe we should just try it given how delicious this looks! My goodness that salmon is gorgeous! I had a serious look at a Ziggy a while back but my budget didn’t cover it. I’m saving my pennies. I’ve given this recipe 5 stars just because I wanted it so much I went out and bought a new barbie but have up graded to the larger Ziegler Turbo model. Now have BBQ just need the other ingredients, will let you know I go with the recipe. Aww thats good to here. i am sure you will have great success with such a fantastic BBQ and my recipe of course! Thanks so much for this recipe! 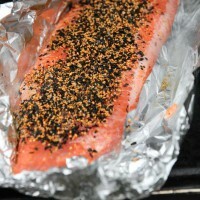 always wanted to cook salmon on the BBQ so will be trying this for sure. 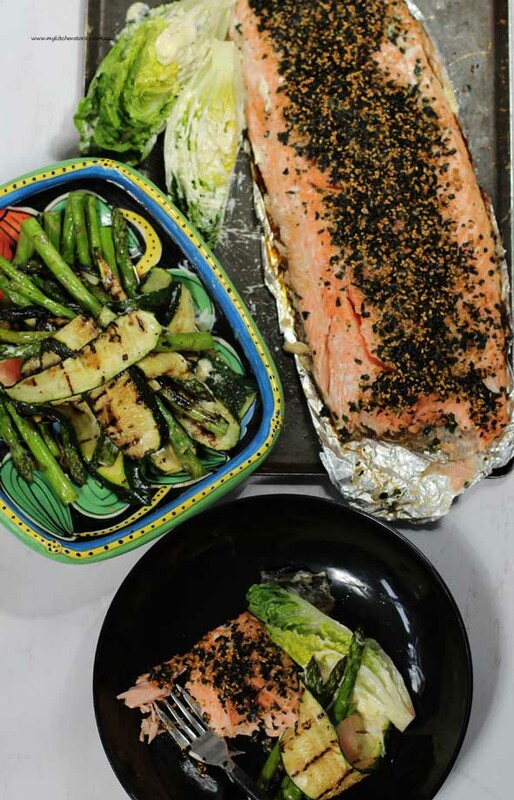 We adore BBQ salmon and veggies. The dressing sounds very good, pinned for the future when BBQ season returns. It will be a few months. That’s a beautiful side of salmon…perfectly cooked. This is my type of food. We just got a new BBQ so am keen to test drive it with this recipe. Thanks for linking to YWF too. 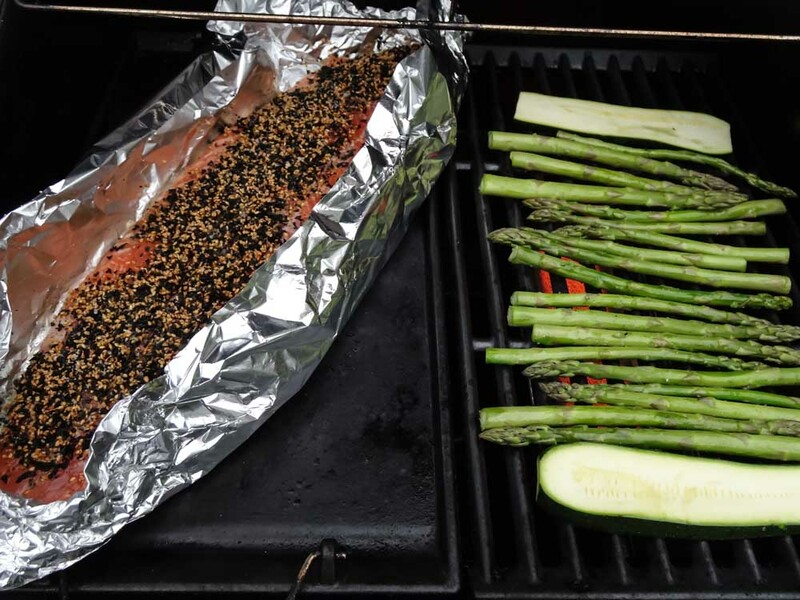 Yes, Had this salmon for Christmas day on my new Ziegler BBQ, was so good, and large, we ate all the leftovers for lunch on Boxing day. Thanks Lenore.m So glad you liked it!